Which 'Star Wars' filming locations would be great to explore in a future 'Tomb Raider' game? Here are my suggestions! 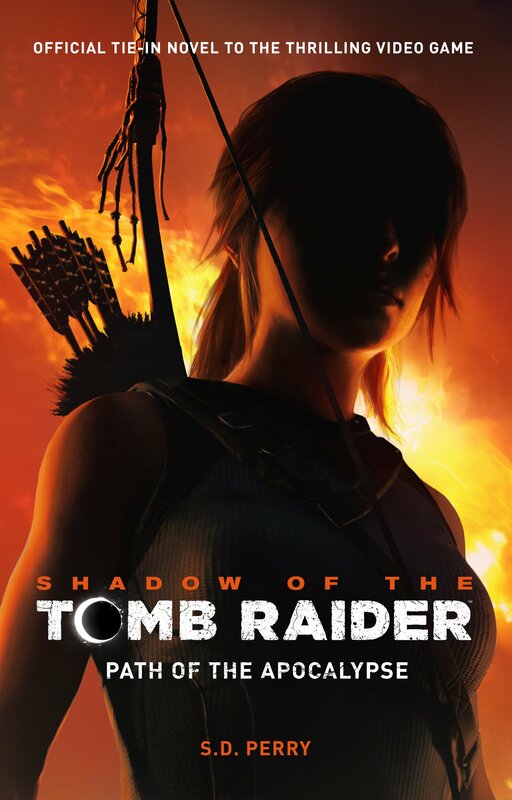 The Tomb Raider video game series and films have done a tremendous job of showcasing some of the world’s historical sites and exotic locations, whether they’re well-known attractions such as the pyramids at Giza or Angkor Wat or the less commonly known Trajan’s Market and Jan Mayen island. And as one of the most successful and longest-running film franchises to date, the Star Wars films have often relied on real-world locations to serve as the backdrops of some of their most memorable scenes. 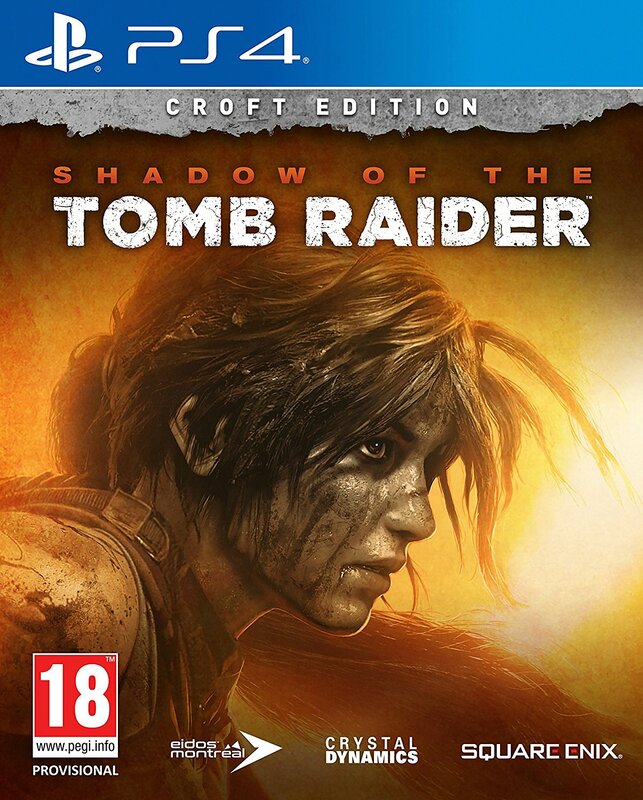 Which begs the question: Which Star Wars filming locations would be great to explore in a future Tomb Raider game or film? Now, I’ll be the first to admit that this article is pretty self-serving – I’m a huge Star Wars nerd – but it was a heck of a lot of fun to research and, hopefully, you’ll enjoy reading it as much as I enjoyed working on it. Note: This article was originally posted in early December 2016 (i.e. just before Rogue One was released) but has since been updated to include more references to Rogue One and The Last Jedi. This North African country played such an important role in the production of A New Hope (1977) and in the subsequent prequel films The Phantom Menace (1999) and Attack of the Clones (2002) that it almost deserves its own article. Stretching from the Mediterranean down to the northern reaches of the Sahara Desert, Tunisia is home to a wealth of archaeological sites, coastal towns, beach resorts, and Berber settlements. It was home to the Phoenician colony of Carthage and was once referred to as “the granary of the Roman Empire”. And, of course, it was the real-life inspiration for the fictional planet of Tatooine, which was named after the country’s southernmost governorate Tataouine. 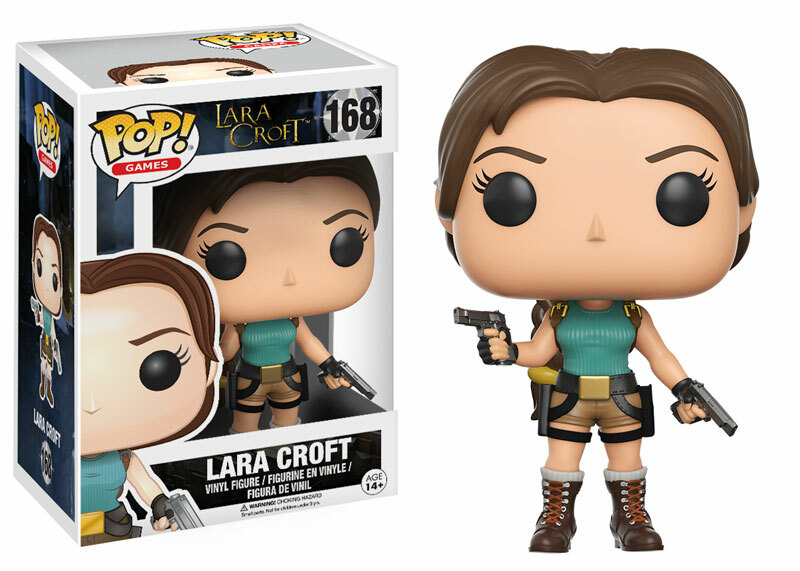 While the Lars moisture farm and homestead (exterior shots) and the Mos Espa settlement were sets built specifically for the films, the dry salt lake flats of Chott el Djerid and the deserts surrounding the oasis towns of Nefta and Tozeur would be the perfect setting for a long-lost settlement for Ms Croft to uncover and explore. And if you’re into a little Star Wars archaeology of your own, you can still visit the now-neglected sets out in the desert. 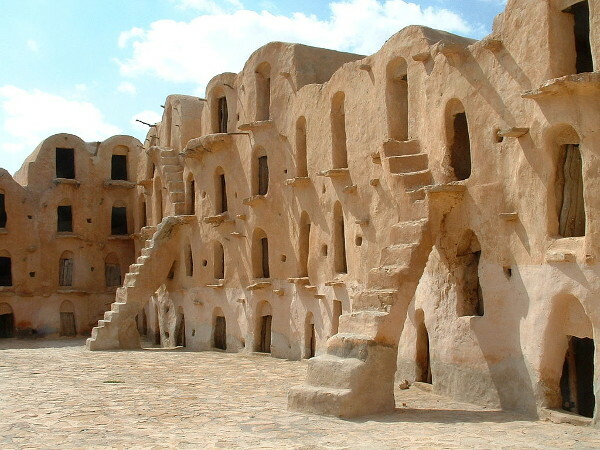 One real-life structure that appears in much-maligned The Phantom Menace is Ksar Ouled Soltane, a fortified granary consisting of dozens of vaulted granary cellars (or ghorfa), steep staircases, and courtyards. This fifteenth century Berber structure is located south of Tataouine and sits atop a hill, which once protected the treasured grain from raids. 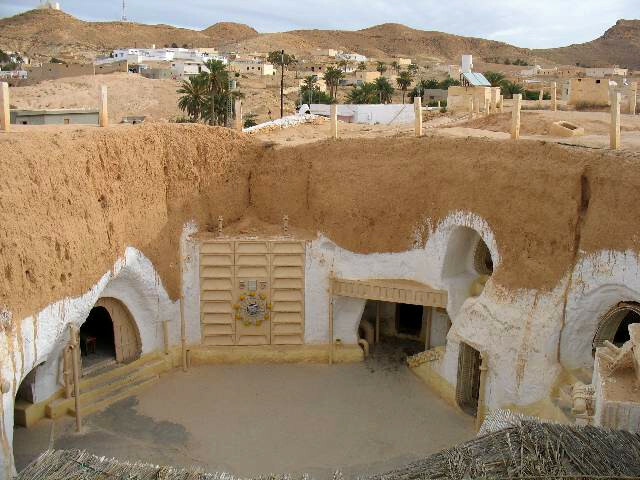 Similar structures can be found in other settlements throughout Tunisia (and across North Africa) and some of these, such as Ksar Medenine and Ksar Hadada, were also used to represent different parts of the Mos Espa slave quarters that Anakin Skywalker lived in as a child. These multi-storeyed adobe granaries could easily hold a treasure or two in their ancient vaults. If there’s one heritage site that has enjoyed a massive boost in popularity thanks to its appearance in a Star Wars film, it’s the island of Skellig Michael off the coast of County Kerry, Ireland. 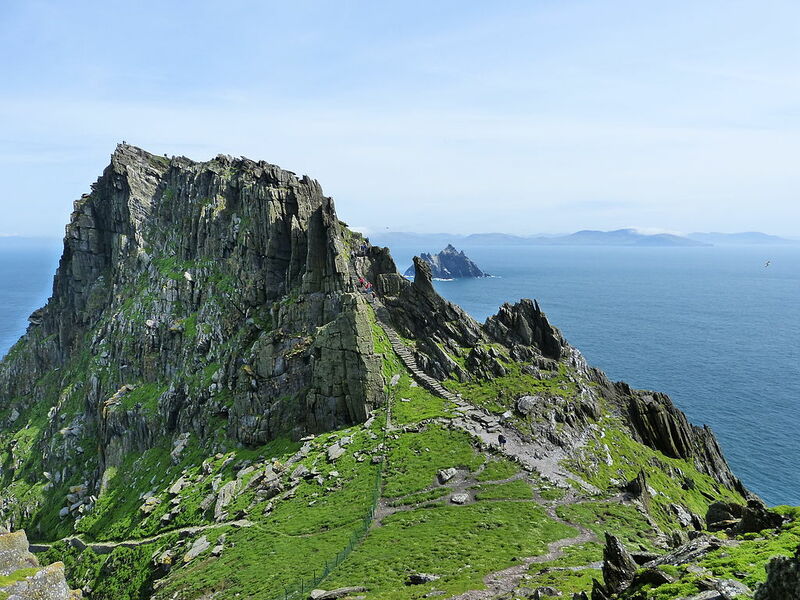 The setting for the closing scene of 2015’s The Force Awakens and a key location in the 2017 blockbuster The Last Jedi, this imposing and rocky island (the larger of the two Skellig islands) was home to a remote Christian monastery from as early as the 6th century up until the late twelfth, or possibly early thirteenth, century. The monks who once lived here would have lived a very spartan, humble existence, surviving off the fish they caught and the vegetables they grew in their terraced gardens, and spending much of their time in prayer. Today, the island is part of a special protection area for puffins, storm petrels, and other seabird species, while guided tours offer visitors the chance to follow in Rey’s footsteps and walk up the island’s steep stone steps, past the beehive monastic cells and graveyard, and up to the monastery ruins perched high above them on the island’s eastern peak. This former royal residence in southern Italy dates back to the mid-eighteenth century and was used for the interior shots of the Theed Royal Palace on Naboo, the home planet of Queen (later Senator) Padmé Amidala, in The Phantom Menace and Attack of the Clones. Once home to the Bourbon kings of Naples, this fine example of late Italian Baroque architecture boasts over 1,000 rooms and was built to rival the royal palaces of Versailles and Madrid. 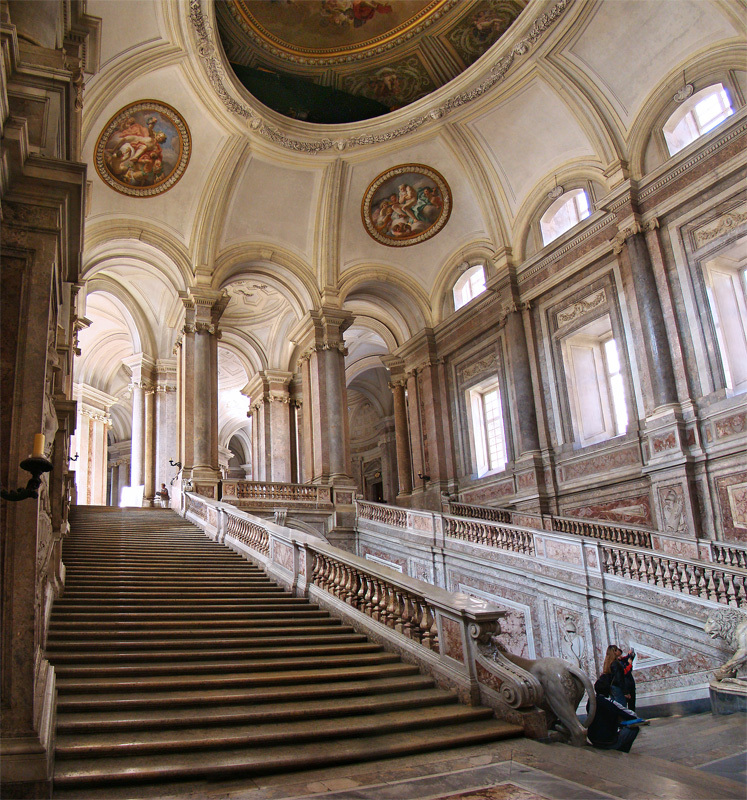 Nearly half a million people visit this UNESCO heritage site each year to admire the palace’s frescos and architecture, wander through its courtyards and woodlands, and explore the palace’s vast, picturesque gardens. 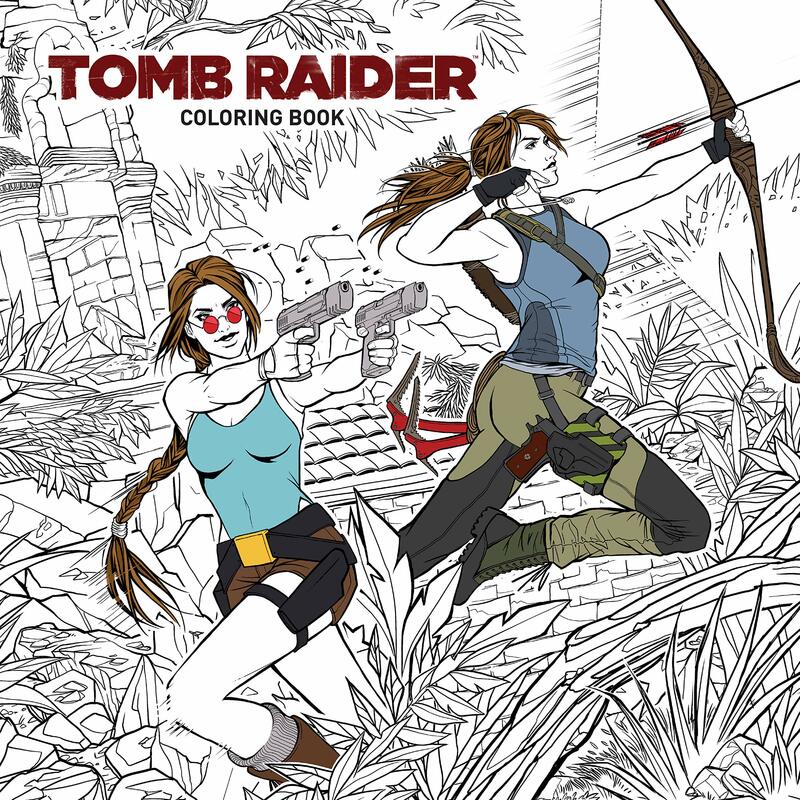 A historian and art connoisseur such as Lara Croft could easily spend weeks, perhaps even months, uncovering everything this palace has to offer. You may have seen it first on Game of Thrones but the picturesque walled city of Dubrovnik on Croatia’s Dalmatian coast was also used as a filming location for the opulent casino city of Canto Bight in 2017’s The Last Jedi. Rightfully nicknamed “The Pearl of the Adriatic”, Dubrovnik’s enchanting Old City was once one of the wealthiest ports in the Mediterranean and is protected by a series of defensive stone walls, bastions, and fortresses which date back to the Middle Ages. The fortifications, which run almost 2 kilometres around the city, protected the city’s inhabitants from numerous sieges and raids by the Saracens, Venetians, and other enemies and are now a popular tourist attraction. There’s plenty to keep our intrepid adventurer occupied. Dubrovnik is home to some remarkable historical buildings and sites, such as the Trsteno Arboretum (the oldest arboretum in Europe), the Gothic-Renaissance era Sponza Palace (which now houses the city archives), and the Franciscan Church and Monastery (which houses thousands of valuable manuscripts and a collection of Christian relics). It’s all too easy to imagine Lara Croft scaling Dubrovnik’s centuries-old walls, sneaking into medieval cloisters… and vaulting over the occasional tourist to get from A to B. The rock formations and almost Martian landscape of Wadi Rum have made multiple film appearances over the years: Lawrence of Arabia, Red Planet, The Martian, and Rogue One, where it served as the desert moon of Jedha… before its unfortunate “mining disaster”. Wadi Rum – or “Valley of the Moon” – is situated in southern Jordan and is now home to the mostly nomadic Zalabia Bedouin. Its petroglyphs and temple ruins bear testament to the countless nomads, merchants, and travellers who once inhabited this region or past through its otherworldly landscape. The valley has a lot to offer the intrepid archaeologist: Nabataean temples, ancient inscriptions, scorching sand dunes, towering rock formations (perfect for climbers), and some of the most stunning sunset views on the planet. Although no actual filming took place in this scenic Chinese city, footage of Guilin’s iconic karst formations was digitally composited to create the backdrop for Kashyyyk (Chewbacca’s home planet) in Revenge of the Sith. Tomb Raider fans may recall seeing this karst landscape in the film Lara Croft: Tomb Raider: The Cradle of Life when Croft and Sheridan sneak into China via jet pod but, as with Revenge of the Sith, no scenes were actually filmed there. The lake we see in the film was in fact Llyn Gwynant in Wales, with shots of the Guilin landscape digitally added to the background to make it look Chinese. And while the towering limestone mountains may have looked impressive in both films, the reality is even more remarkable as any visitor to the region can attest. A cruise down the winding Li River is a humbling and breath-taking experience while the numerous limestones caves in the area, such as the musically named Reed Flute Cave, offer a glimpse of an otherworldly underground domain that’s just begging to be explored. The more adventurous traveller can take a trip to nearby Yangshuo and climb up Moon Hill, a natural arch that offers mind-blowing panoramic views of the surrounding karst countryside. A Tomb Raider level set in Guilin would be a gaming experience not easily forgotten. Life is a beach…and if you’re an Imperial officer, you might even be lucky enough to be stationed on the scenic tropical island world of Scarif. This new planet appears in the 2016 film Rogue One and is the site of a major battle between Imperial forces and a group of daring rebels. Conceived as a tropical paradise under Imperial rule, director Gareth Edwards decided to shoot the Scarif scenes on location on the islands of Gan and Berasdhoo in the Maldives and hired officers of the Maldivian National Defence Force to play Stormtroopers. Many think of the Maldives as a honeymoon destination and the Laamu Atoll (where Gan and Berasdhoo are both located) is no exception. However, there’s plenty to keep our favourite archaeologist adventurer entertained, whether it’s scuba diving in the atoll’s shimmering blue lagoons or excavating Buddhist ruins and artefacts on its beautiful sandy islands. And, last but not least, the final entry on this list is a Maya site that appeared in the very first Star Wars film back in 1977. That site is the ancient city of Tikal in northern Guatemala. Shots of the Maya pyramids and rainforest canopy were used to represent the site of Great Temple of Massassi on the moon Yavin 4, which served as the headquarters of the Rebel Alliance in Rogue One, Star Wars Rebels, and A New Hope. 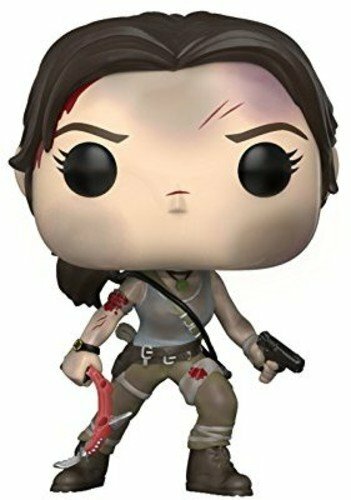 While Lara Croft has visited Maya sites in southern Mexico in the past (see Tomb Raider: Underworld), there’s absolutely no reason for the intrepid adventurer to pass up the chance to explore the ruins of one of the largest urban centres of the Americas. Only a small fraction of the thousands of ancient structures and burials at Tikal have been excavated and Lara could have a field day trying to decipher the texts carved onto the stelae recovered from the site. 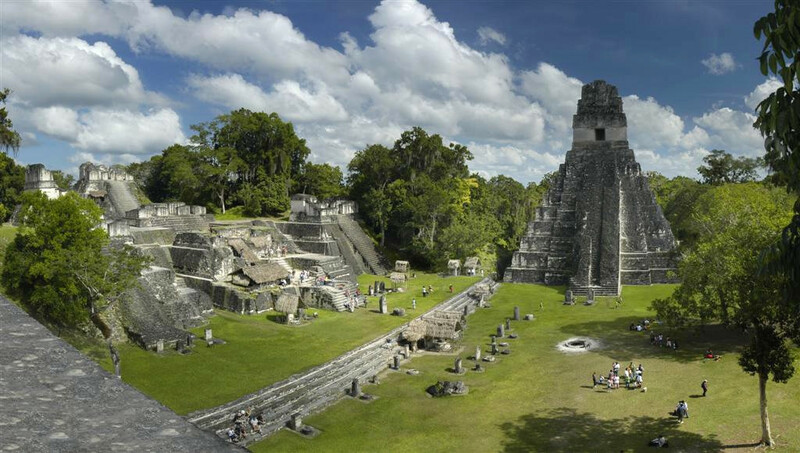 With temples named “Temple of the Great Jaguar” and “The Lost World Pyramid”, who could resist the urge to book a flight to Guatemala? Looking for a little more Star Wars archaeology and/or travel tips? Here’s a list of articles and videos you should check out! All images on this page are courtesy of Wikimedia Commons and Wookieepedia.